What did Claude Monet see when he painted this picture? If color photography had been invented in 1873, we might have had a definitive answer to this question. But even without a color photograph, we know that it would probably show a clear blue sky and a river reflecting the sky. The next question, of course, is what would Monet have painted if he had set up his easel in front of another landscape. In their paper "Unpaired Image-to-Image Translation using Cycle-Consistent Adversarial Networks," scientists from Berkeley AI Research have developed an algorithm that can answer this question with the help of AI. Their approach is similar to how we humans would approach the task. The easiest way would be to see a Monet painting next to a color photograph of the scene he was painting. Unfortunately, we don't have this data. 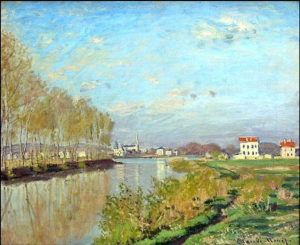 Instead, we can look at Monet's paintings and landscapes. If we then look at a landscape painting, we can more or less imagine what a Monet painting would look like if he had painted that scene. This process also works in the opposite direction. When we look at a Monet painting, we can imagine what a landscape of the same scene would look like. As training data, we have a data set X with landscape pictures and a data set Y with paintings. For these training data, we are looking for a mapping of landscape images to paintings and back to landscape images. 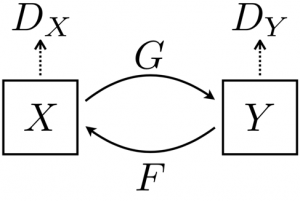 The neural network used to find this figure is called the Cycle-Consistent Adversarial Network. 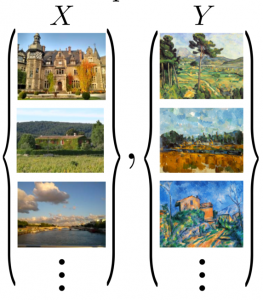 Cycle-Consistent Adversarial Networks can not only turn landscape images into paintings by different painters but can also replace horses with zebras or change the seasons on images. If you would like to know how we can help you to add value to your images, please contact us at info@aiso-lab.com. Save the date! The leading conference for the implementation of AI in your company is taking place on March 21st and 22nd in Munich. 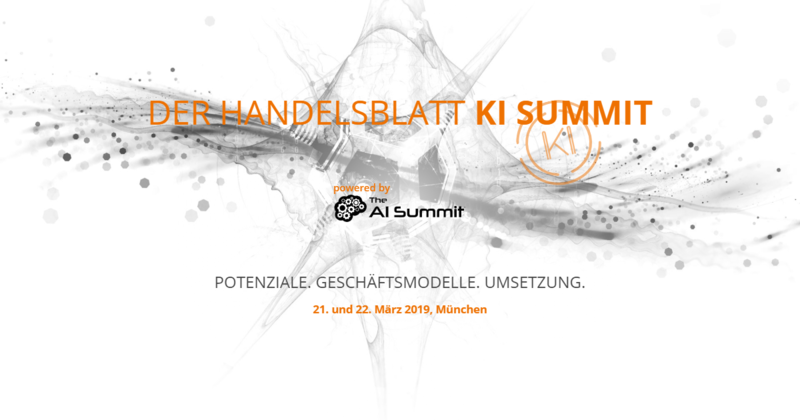 This fantastic international experience would not possible without the contribution of Handelsblatt and the AI Summit: the significant partners of business events! To contribute to your participation, we have a special prize for you! Subscribe now to our Newsletter and get the exclusive opportunity to visit the event at a reduced price which amounts up to -100€. Click here to subscribe and stay tuned for our next Newsletter! Join us for two days of discussion and inspiration and let's exchange valuable information and experiences while enhancing our network. Get your reduced ticket today and be there! Be where innovation is! While dexterous handling of objects is a daily routine for humans, this task remains a challenge for autonomous robots. Since the human hands can perform a vast number of tasks in many different environments with great ability, creating an artificial hand is one of the most inspiring goals in Robotics. Researchers at OpenAI now have accomplished a big step in this direction with the help of AI (see https://arxiv.org/abs/1808.00177). The results are impressive. If you have any questions about image processing using AI, or if you would like to know how to generate more value with your images or videos, feel free to contact us at info@aiso-lab.com. Dear aiso-lab friends, customers, and partners! Carnival finale in the Gürzenich-Festhalle from 19:00 at the FEST IN BLAU of Kölner Funken Artillerie blue-white since 1870 e.V. More details on the agenda are to be announced soon. We are looking forward to early registration for better planning of our events. 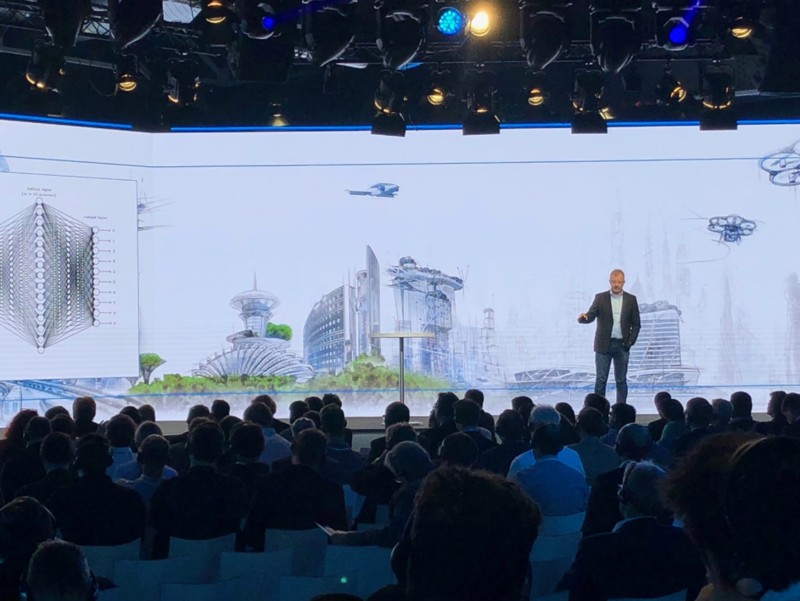 The highlight: the anniversary evening with keynote speeches on technology policy by Federal Economics Minister Peter Altmaier and Siemens CEO Joe Kaeser and the big birthday party - including a trip into space to the international space station ISS. 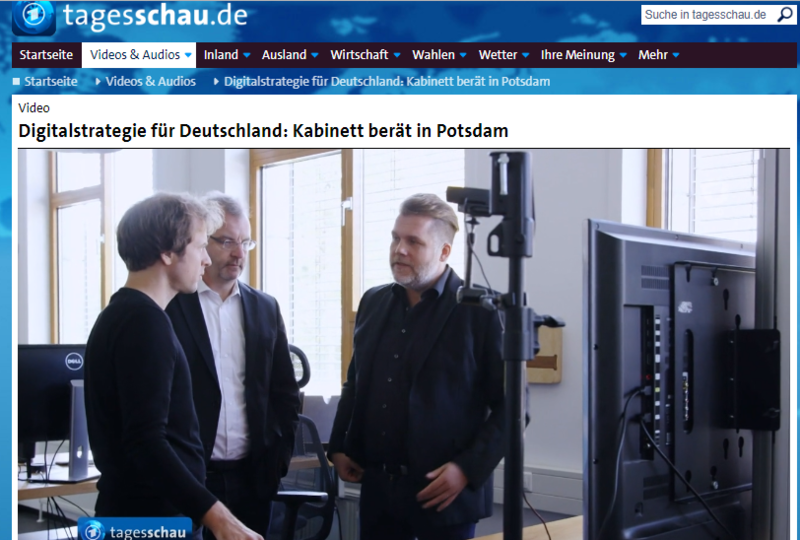 Immediately after the federal government had presented its AI strategy last week, our CEO and President of the German AI Association was giving an interview at the daily evening news on Tagesschau.de. 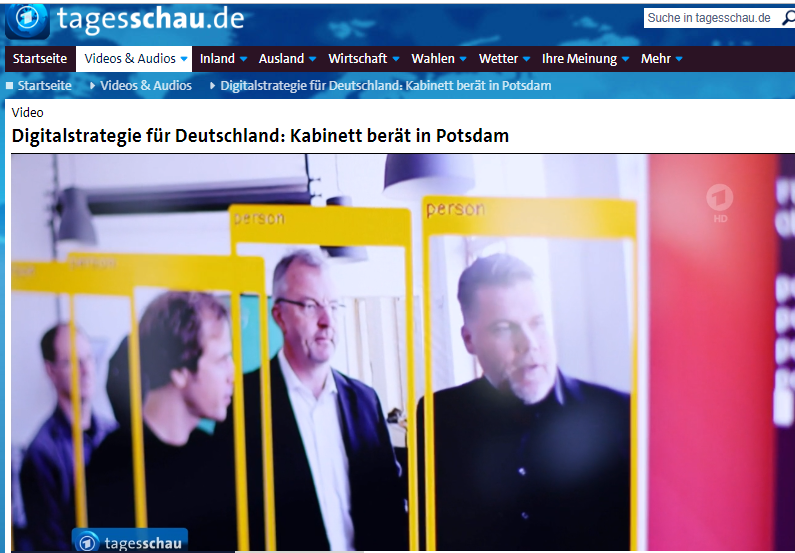 During this interview, also the products of RAYPACK.AI GmbH were shown, emphasizing a range object and person recognition. The AI strategy is a very comprehensive document with 77 individual measures. However, since concrete implementation plans including associated budget are mainly lacking, a short-term concretization is necessary. "The strategy paper is a good starting point for an intensive process, which must now be started immediately with all participants. Otherwise, this is just a nice collection of ideas." 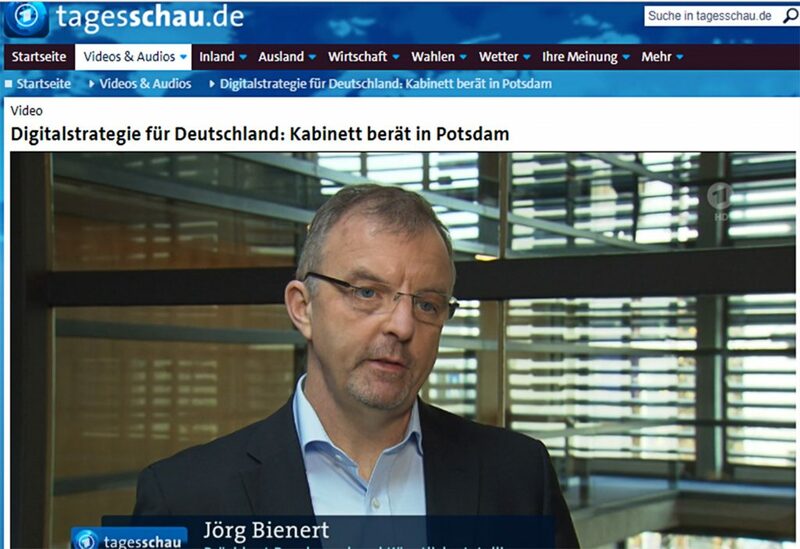 Click here for the interview and contact us at info@aiso-lab.de for more information! If you have any questions about image processing using AI or would like to know how you can add value to your images or videos, please contact us at info@aiso-lab.com. 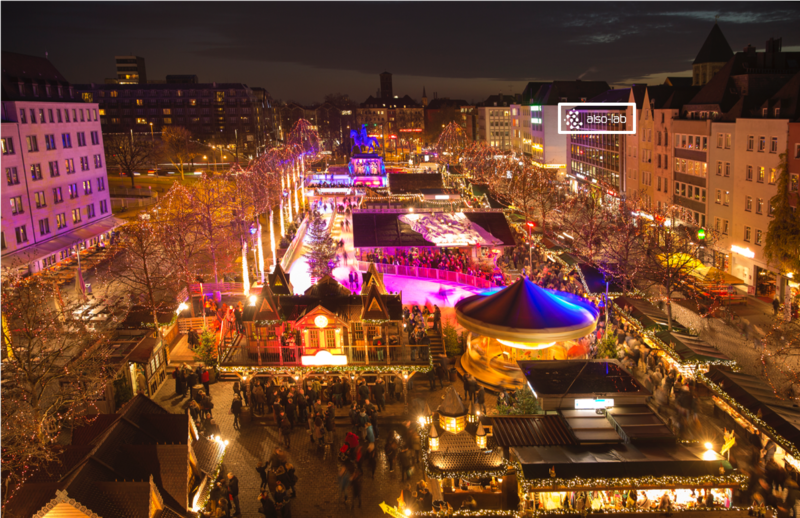 We are delighted to invite you to KINNOVATE organized by Euroforum and taking place on 11 and 12 December 2018, in Munich. This event is focusing on the implementation of Artificial Intelligence solutions in business practice. You will get an overview of current applications and find partners for pilot projects and concrete business models. 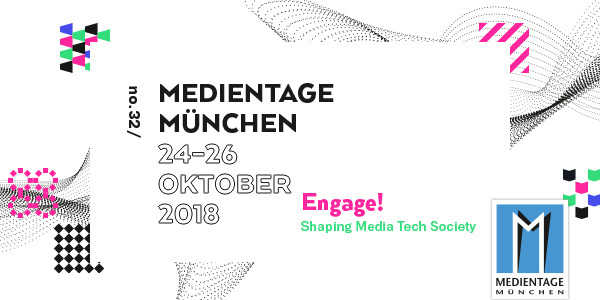 We are looking forward to presenting our innovative use cases and highly-scalable AI software solutions such as Visual Computing, which among others, is our primary expertise. We want to contribute to your participation. Therefore we have a special prize for you! Subscribe now to our Newsletter and get the exclusive opportunity to visit the event at a reduced price which amounts up to -600€. Click here to subscribe and stay tuned for our next Newsletter!